Still determined to keep those New Year's health resolutions? If you're going to stick with the exercise plan, it's enough of a challenge to budget your time. No need for your financial budget to take a hit, too. Here's a more convenient - and cheaper - alternative to a gym membership or Peloton bike: Two of our favorite virtual fitness clubs, tailor-made for any schedule and any income. The wealth of content on this streaming service should be enough to keep you sweating well into your fitness goals and beyond. Along with daily exercise challenges, there's 24 /7 access to on-demand workouts in yoga cardio, strength training and more. 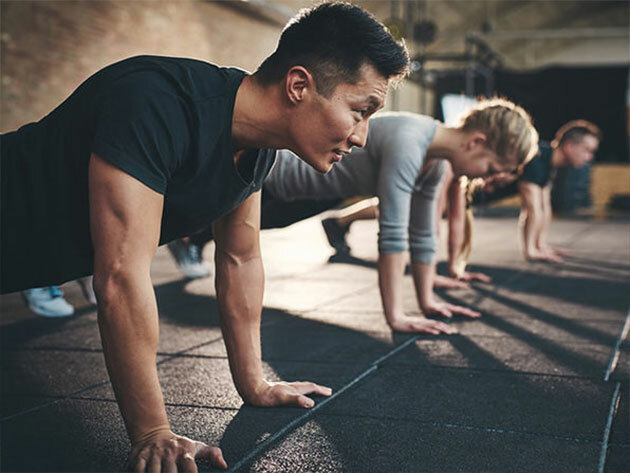 And because it takes more than sweat, this service offers peer support through their Live Streaming Fitness community, plus meal plans, cooking shows and recipes made by certified nutritionists. A lifetime subscription to all of this through Live Streaming Fitness is now $99.99. For a more traditional touch, Fitterclub replicates the personal trainer experience with all the convenience of streaming. Answer a simple questionnaire, and the service builds you a workout regimen and nutrition program suited to your goals and body type. From there, it's on you: Access your daily, curated workouts and enjoy the flexible, tailored meal plan. Fitterclub tracks your progress and adjusts your plan every month using complex data analytics, so things never get too hard or easy. Fitterclub Personal Training is a full 91% off for the new year - that's $49 for a five-year membership.